After a whirlwind week at work, churning and burning and staying late, I come home this evening (since the traffic is so bad I can’t make it up to the gym), to find someone already in my house. With long curly hair, a slim build and flawless skin, I’m stunned to find another woman in my living room. Upon closer inspection, I spy a ring on her finger, and try to determine if this is actually a good thing or a bad thing. As we all know, for many, rings don’t translate to off limits. Apparently my husband didn’t read into any off-limits subtleties, as he claimed her as his own. As much as I want to be jealous of her, I just keep reminding myself that she’s not real, and that puts my mind at ease. On the other hand, the product she’s promoting is definitely real. 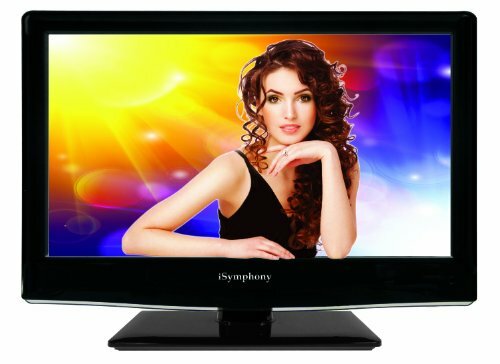 And I turn my attention from her to her backdrop, a brand new 40″ TV. Anyone who knows us knows we’re not big TV people. We don’t have cable, and half the week we never even turn on our TV-hooked-up-to-computer-tower. I’m confused as to why our perfectly capable 32″ TV isn’t cutting it for James. But then it dawns on me. 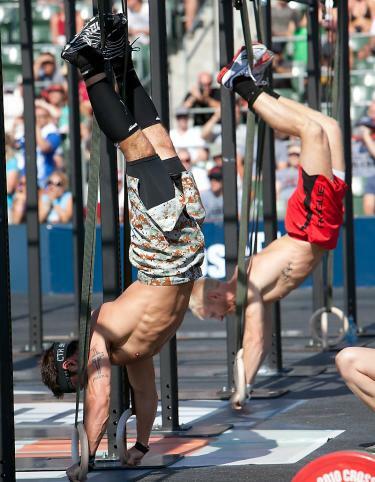 Is it a coincidence that the CrossFit Games starts in one week? I think not. It’s obvious where our priorities lie. To say we’re excited to watch them for the third year is an understatement. The first year, we downloaded each webisode after HQ uploaded them and were like hungry zombies watching them. Last year was our first taste at watching them through live streaming, and let me tell you, it was addicting. We talk of CrossFit hotshots as if they’re neighbors across the street who we socialize with regularly, when the only 2011 Games athlete we know well is Brandon Phillips (or Mr. Wheelbarrow if you saw last year’s Games). But from all the publicity CrossFit HQ pushes, we know them so well it’s scary. We can tell you what type of workouts they’re good at, and which ones they’ll struggle with. So despite the testosterone-fueled competition of the Games, and even our bias toward personal favorites, there isn’t an athlete competing that we wouldn’t like to see win. After all, when you’re good enough to make it to the CrossFit Games, you’re good enough to take home the gold on any given Sunday.